Carlotta is wearing a dark red wool coat with floral embroidery on the sleeves and hem. Light grey boots, white faux-fur cuffs and a belted vest complete the wintery look. Carlotta is wearing a dark red wool coat with floral embroidery on the sleeves and hem. Light grey boots, white faux-fur cuffs and a belted vest complete the wintery look. Beneath she is wearing light grey velvet pants and a long-sleeve printed T-shirt with a bow collar. Her Kidz’n’Cats cat is also dressed in winter white. Carlotta was awarded the DOLLS Award of Excellence 2013 in the category “Collectible Child Doll”. 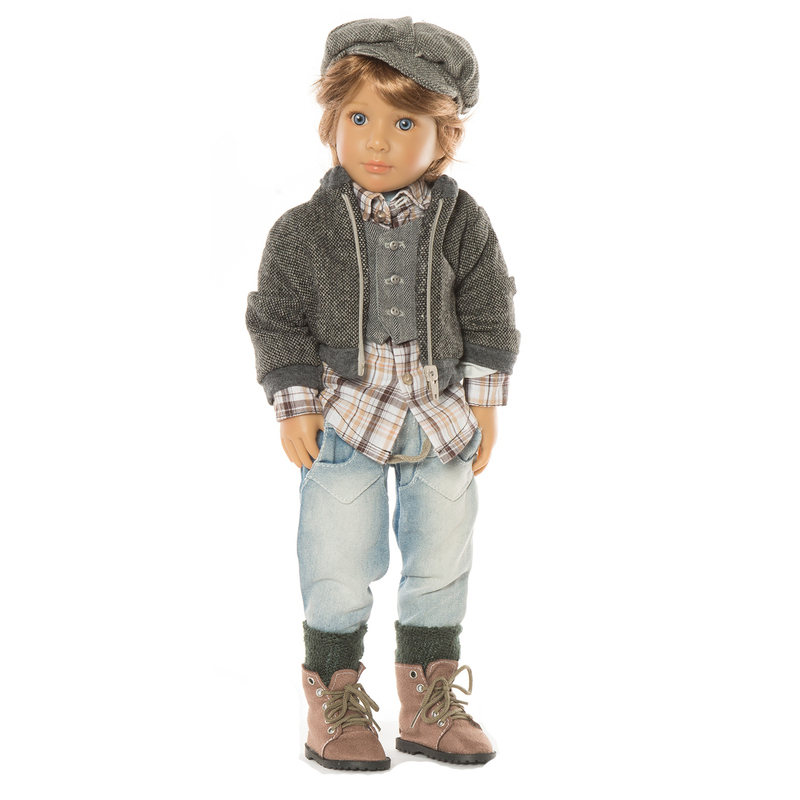 Please also see the extra outfits for Kidz ‘n’ Cats dolls in our Accessories section. High quality kanekalon wig. Brown lifelike acrylic glass eyes. Real eyelashes.